From biking the famous Appian Way to exploring the ancient towns of Pompeii and Herculaneum, and tracing the contours of the Amalfi coast on the “Path of the Gods” – Indian Hill High School Latin scholars spent spring break embracing an unparalleled global learning opportunity. The last week of March, 23 Braves enjoyed a week-long study trip to Rome and the Bay of Naples. 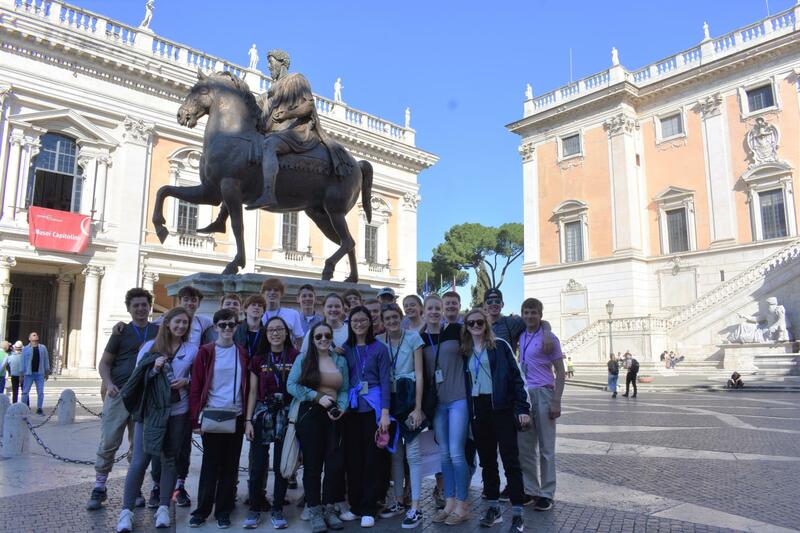 Photo caption: Indian Hill High School Latin scholars took a toured Rome and the Bay of Naples during spring break March 2019.